We expected a robot show, not a show of people dressed as robots. So it was just ok, not what we expected. Liked it moderately. It is an exotic show. It was an interesting thing.... very hard to find. Our seats were bad because we arrived very late... so arrive on time! It was truly an entaintenting show. I enjoy the colorful displays. The music and the singing were really made it special. It was interesting. definitely will only see this in Japan. The food was not so good but the experience was great. It was easy to find due to all the signs in the area and the directions given when booking. 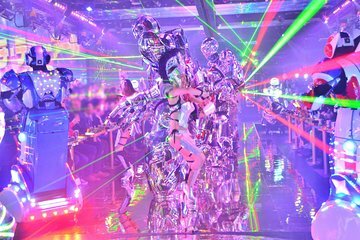 The Robot Restaurant in Tokyo’s Shinjuku District has become one of the city’s hottest tourist attractions. Although a bit tacky and truly touristy it is a fun event nonetheless. 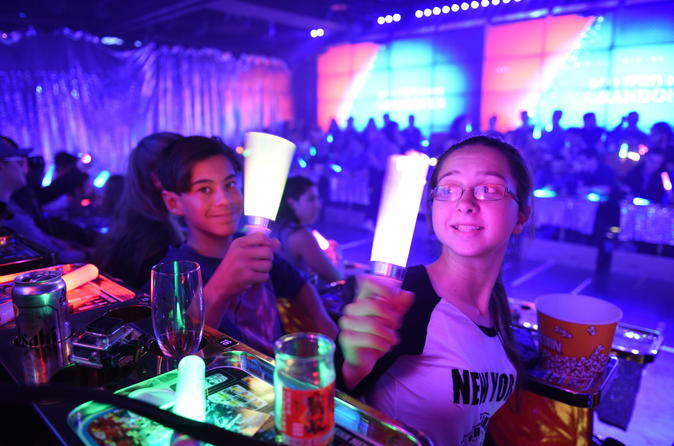 The highlight is perhaps at the beginning with a legitimate taiko drum performance but memories of the giant panda in the second act are sure to stay with you. The performance is split into three acts including the drum opening, a battle for humanity (you will see one of the losers in the dinosaur’s mouth, and just all out psycho singing, dancing and roller blading. Safety is a top priority as you must adhere to drinks in cupholders and popcorn on your lap to avoid a robotic accident. I don't know if show was bad, but I will just say it is NOT appropriate for young children and elderly. It is really really loud. Crowd is mainly young adults. I left after twenty minutes. May be a good show but only recommend for young adults.